Two additional relatively small terranes collided with North America early in the Cenozoic. At around 55 Ma, metamorphosed sedimentary and volcanic rocks of the Pacific Rim Terrane were forced a few tens of kilometres underneath the west coast of Vancouver Island (Figure 21.26). These rocks are distributed along the west coast of the island and in the area around Victoria (Figure 21.27). At around 42 Ma, sea-floor pillow basalt and gabbro of the Crescent Terrane accreted to the southern margin of Vancouver Island and also to the adjacent part of Washington State. These terranes are shown as Outboard terranes in Figure 21.14. 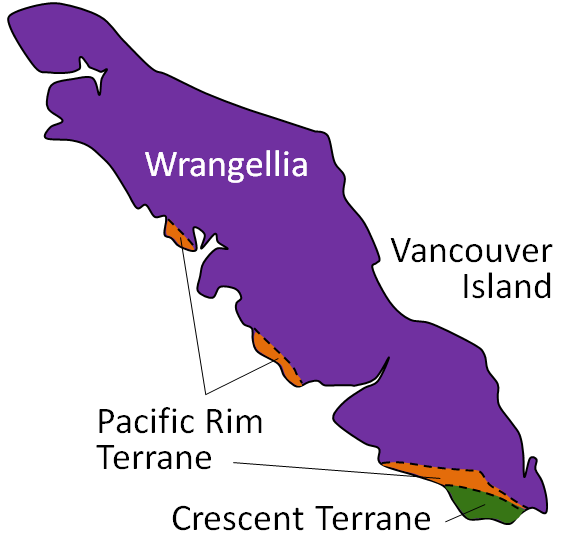 The accretion of the Pacific Rim and Crescent Terranes had the effect of pushing Vancouver Island closer to the North American mainland, resulting in the uplift of the sediments deposited within the Nanaimo Basin to form islands in the Strait of Georgia (Figure 21.28) and mountains on Vancouver Island. 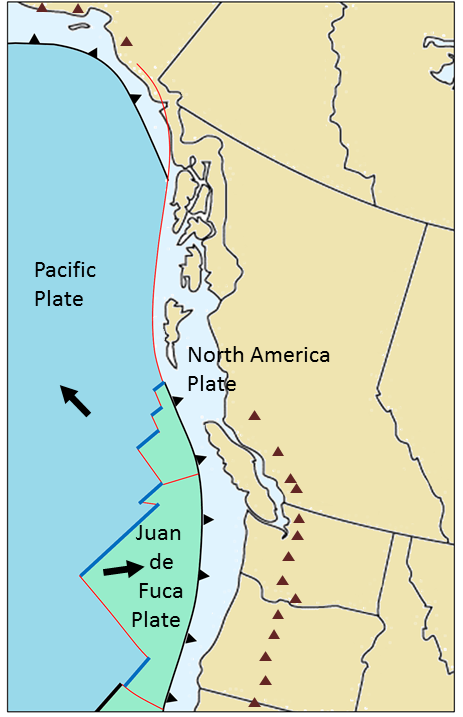 Following these events, the subduction of the Juan de Fuca Plate, which is a remnant of the former, much larger, Farallon Plate, was re-established at its current location farther to the west of Vancouver Island. This subduction, and that of the North America Plate beneath Alaska, has produced recently active volcanoes in Alaska, and all along the west coast from north of Vancouver Island to northern California (Figure 21.29). 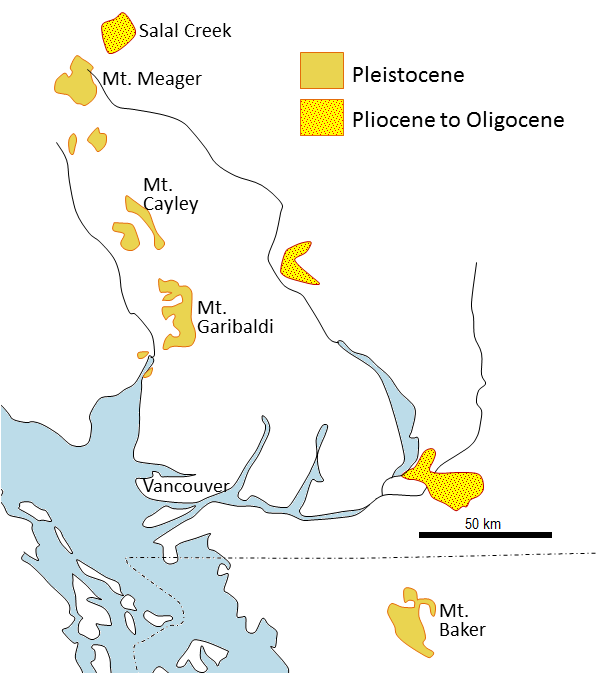 In southwestern B.C., there are several dormant volcanoes of Pleistocene age (including Garibaldi and Meager) that trend along a line that also passes through Mt. Baker in Washington State. About 40 km to the east is a trend of slightly older igneous complexes (Pliocene to Oligocene). The displacement between these belts could be explained by a westward shift in the position of the subduction zone over that time period. 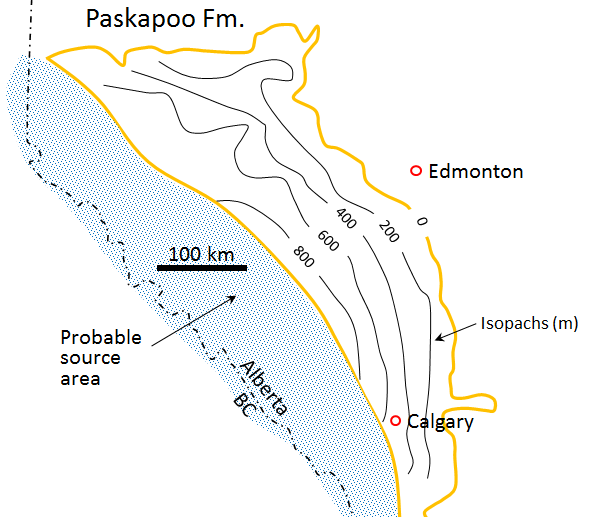 Sedimentation in the WCSB continued into the Cenozoic (Figure 21.22) with deposition of the Paskapoo Formation adjacent to the Rockies in Alberta (Figure 21.31), the Ravenscrag Formation in the Cypress Hills of southern Alberta and Saskatchewan, and the Turtle Hills Formation in southern Manitoba. All of these strata were deposited in terrestrial fluvial and deltaic environments, and all of them include coal deposits. Numerous mammalian (and other) fossils have been found in these rocks in Alberta and Saskatchewan. The mammals include primitive ungulates (ancestors to the deer and their relatives), a type of pangolin, a colugo (a gliding mammal that was possibly a primate ancestor), and some true primates in the suborder Plesiadapiformes, which became extinct and are not ancestors to any modern primates. Rocks younger than Paleocene (i.e., younger than 55 Ma) are relatively rare across the prairies, but there are widespread Eocene-aged volcanic and sedimentary rocks in central and southern B.C. 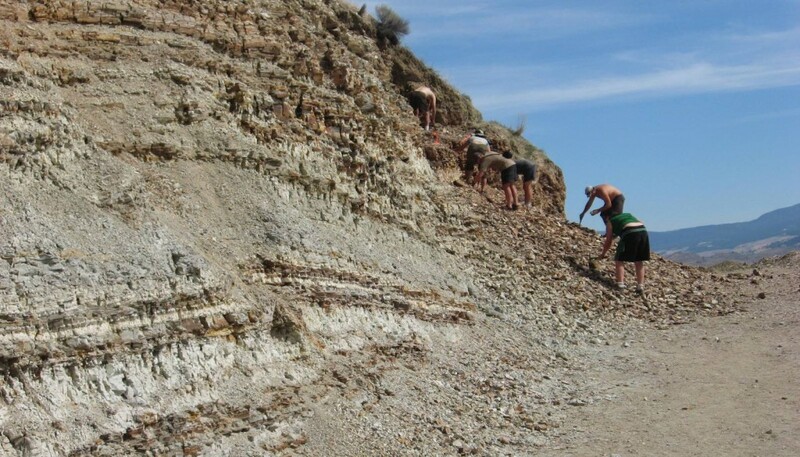 The Kamloops Group includes the Tranquille Formation of lacustrine sediments (lake deposited), overlain by the Dewdrop Flats Formation of basaltic and andesitic volcanic flows and breccias. The Tranquille Formation includes the McAbee Beds and a number of other important sites with Eocene fossils (Figure 21.32). The earliest Pleistocene glaciation in Canada started at about 2.64 Ma (late Pliocene) in the Klondike area of Yukon. 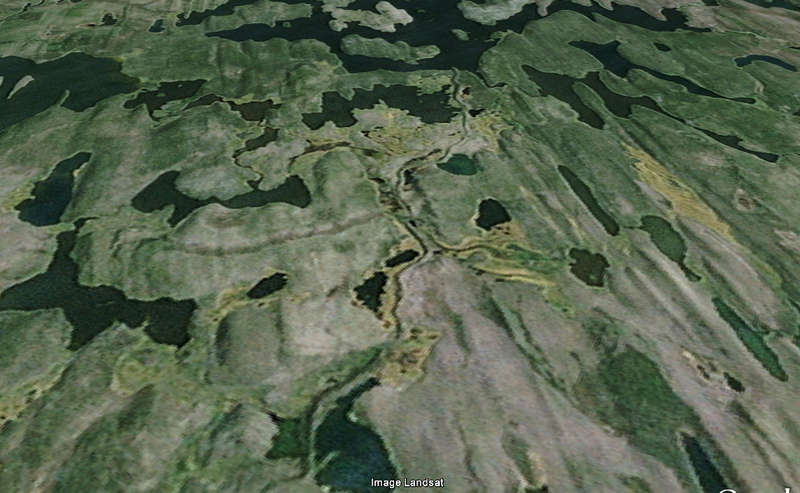 This was part of the Cordilleran Ice Sheet. 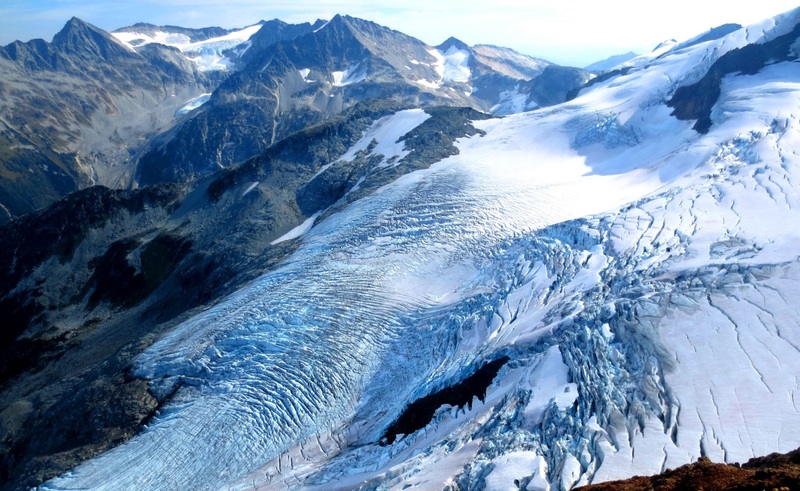 The Laurentide Ice Sheet started to form shortly afterward, and within 200,000 years had covered a large part of Canada and extended well into the United States. The Pleistocene glaciations had a major impact on the topography and geology of western Canada, creating extraordinary glacial erosion features in the mountainous regions of the west (Figure 21.33), and leaving enormous volumes of glacial sediment and glacial depositional features throughout the region (Figure 21.34). 21.5 Western Canada during the Cenozoic by Steven Earle is licensed under a Creative Commons Attribution 4.0 International License, except where otherwise noted.